My ship, the "Great Silver"
The Great Silver armed with a vast arsenal of energy weapons, it is exactly one-third the length of the rarer and more powerful Assault Carriers, but larger than the more common Frigates and Destroyers, equipped with the standard energy shield generators, pulse laser turrets, and plasma torpedo launchers, and used as a main heavy warship by both Covenant Loyalists and Covenant Separatists. It appears to be capable of both space warfare and supporting ground operations, capable of deploying upwards of a thousand troops of various races, as well as support vehicles and aircraft through its gravity lift. Relatively recntly made, the Great Silver has shiny greyish white sheilding and armor. It's first glassing event was in 2536 at the planet of Yena, a cold-ice covered planet, far away from it's sun. Human forces were hiding at a secret base there, and when a fellow cruiser commander alerted Arlunis, the Great Silver's commander, of it's whereabouts, they went to destroy the area along with a small fleet. The Great Silver was also offered to be a lead ship for a specialist fleet of the Covenant Seperatists, but it's commander declined. 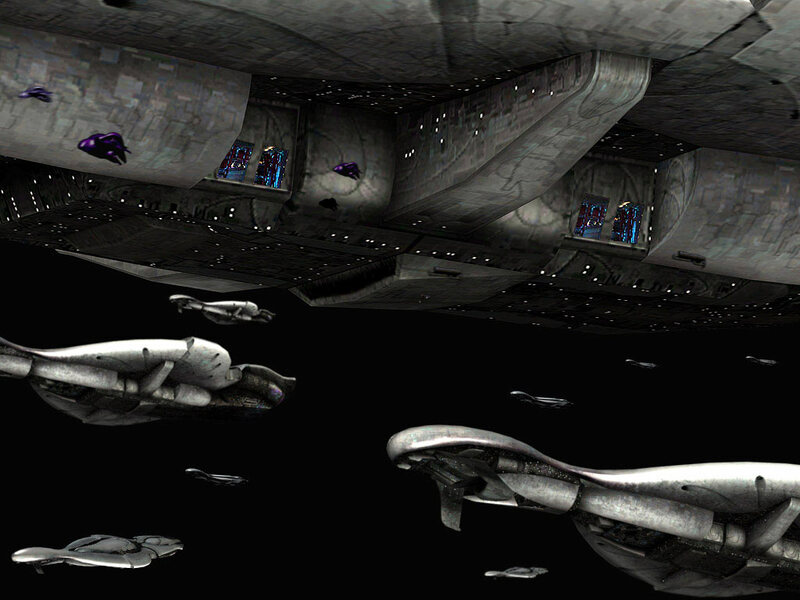 During the first battle the cruiser had experienced, a frigate (not the one identified in my "Sangheili City defense" topic in the battleground section) was severly damaged and eventually crashed into a nearby planet. The Great Silver is opinionized by commander of the ship, Arlunis Demundee, as "The best ship in the whole fleet". Ok, from now on, I will NOT have my own battlecruiser. As a field Marshall, I will fight in large ground assaults instead. Also stealth missions.